Looks like here’s a small present for you for Christmas. Well, I know there’s nearly a month left for Christmas but still you can regard this as my present. So what is it? It’s a 1 year BitDefender Antivirus License. I’m sure you might have heard of BitDefender, it’s a good antivirus that offers you superior proactive protection from Viruses, Spyware, phishing attacks and other internet threats. I don’t think I need to give more explanation about this software. Usually a 1 year license of BitDefender Antivirus for a single pc costs $25 but here’s a promotion through which you can get it for free. Those of you who missed the previous BitDefender offer can grab this one. 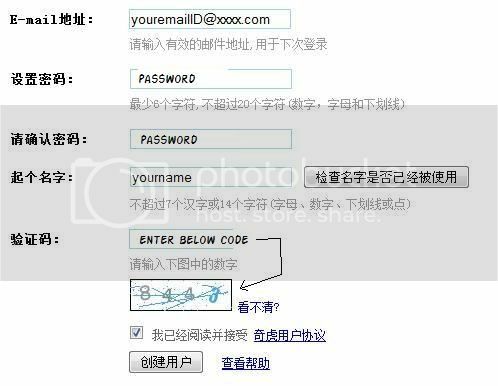 Just follow the following steps carefully to fill a small form as the page is in Chinese. 1. Click here, you’ll see a registration form with various fields to be filled. 2. Now enter your email, password, username and the random captcha code as shown above. Once done, click on the button at the end of the form. (NOTE: If you get some error in Red color under a particular field then either it’s entered wrong on not available). 3. You’ll arrive at a page which will show you the license key, make a note of it and keep it safe. 4. Download and install the latest BitDefender Antivirus from here. 5. When BitDefender Registration Wizard appears, just click the “I want to register the product with a new key” and enter the license key that you received in step 3. Now click Next. You will get a small message saying “Your product has been registered. Press ‘OK’ to continue the activation process.” Click on the OK button. It will prompt you to create a BitDefender account. You can either create the account now or later. 6. Once everything’s done Click Finish and you’ll have a BitDefender Antivirus 2009 license valid for 365 days!